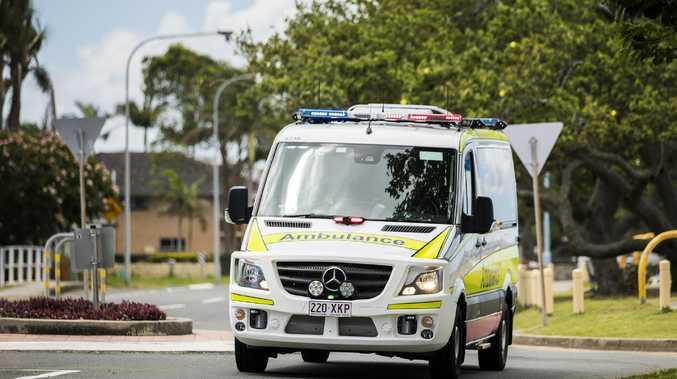 Two people have been taken to hospital following a crash near Jimboomba this morning. A MAN has been taken to hospital in a critical condition after an accident south of Brisbane this morning. The man was trapped in car after a collision with a truck, that caused the truck to overturn. Emergency services were called to the scene at Cusack Lane, Jimboomba, about 7.15am. A spokesman from QAS said the truck driver, an adult male, was stable and out of his vehicle. The driver of the other car was trapped in the vehicle with serious injuries. The QAS says they have taken two people to hospital, one in a critical condition to the PA Hospital and a patient in a stable condition to Logan Hospital.